Hi there, in this tutorial I show you how to create this wonderful Earth picture within 6 minutes, using my new Spaced Out Brush Set. You might learn some tips in this tutorial, even if you dont have my brushes, so its still worth a watch. 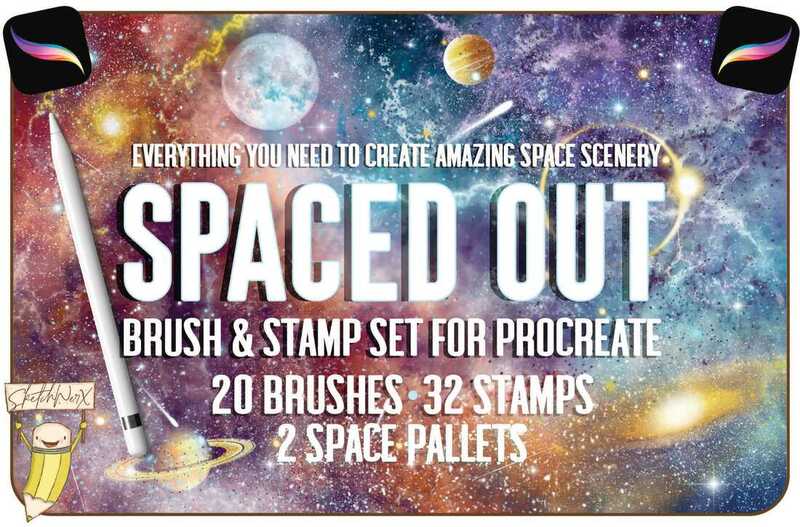 The Spaced Out Brush Set is filled with lots of brushes and stamps to help you create wonderful sky and space images from the comfort of your iPad. The only limitations when using this brush is your imagination. ​​Any questions please ask, im always happy to help. Tag your art with my brushes or using this tutorial on Instagram #sketchwerx, and I will showcase your work in my stories. Thanks for popping by, I wish you lots of fun on your creative journey.